T-Shirt Illustration and logo for A DAY TO REMEMBER. Copies of DARKADYA BOOK II arrived earlier this week. I’m very honored to be featured as the “Spotlight Artist” is this hard cover tome filled with so many great artists and inspirations. Illustration for my twin brother’s old band, YAMATU. Logo by the mighty Christophe Szpajdel! I’m very pleased to share this tribute to underground death metal legends, NIHILIST (Sweden). 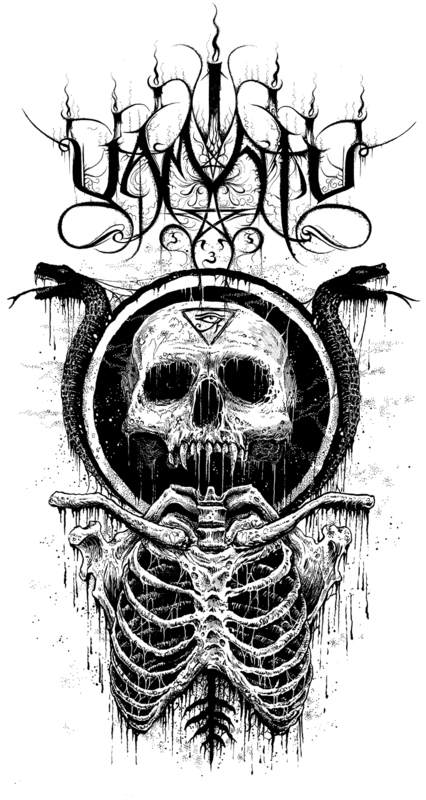 The illustration will appear on T-Shirts released by Dybbuk Records (Mexico). T-Shirt illustration for IFC television series, STAN AGAINST EVIL, which debuts next month. Shirts are available at the New York ComicCon.